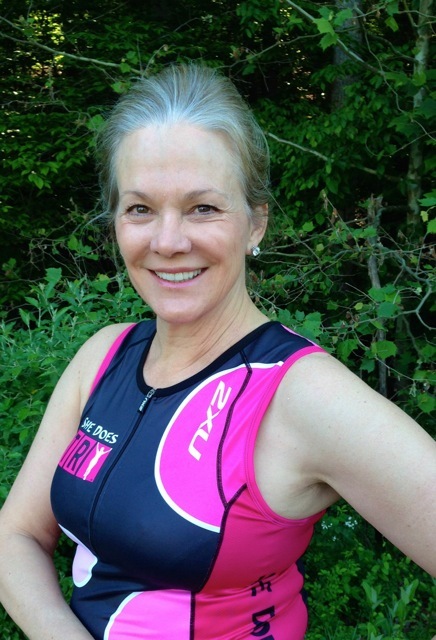 As we’ve been looking for interesting and inspiring people to interview for the Luray Triathlon website, we thought about Catherine Goodrum. Catherine was the original inspiration behind She Does Tri (triathlon coaching and clinics for women), which introduced Catherine to the sport of triathlon. Now, Catherine has founded a non-profit – or what she prefers to call a “for purpose” enterprise – to help battle a deadly disease that you may never have heard of before reading Catherine’s interview. We interviewed Catherine to find out a little bit more about her background in triathlon, her new “for purpose” enterprise and why she’s coming back to Luray Triathlon. One or two sentences about you. I’ve maintained my own consulting company since 2001 that assists multi-national organizations who have international relocations. I live in northern VA with my husband Bill. You have started a “for purpose” enterprise this year. Please describe your non-profit and how it ties to your experience as a triathlete. My non-profit, Pulmonary Fibrosis Events developed because of a growing frustration over the lack of federal or private research funding for a fatal disease that runs in my family, a disease that few are aware of yet claims as many new patients annually as breast cancer. I credit triathlon training with helping me strengthen the qualities required to meet my overall objectives with my new endeavor — patience, persistence and mental stamina. PFE will focus exclusively on support, participation and promotion at a variety of events in order to raise awareness and funding for research. What keeps you inspired to continue to train for and participate in triathlons? My inspiration to train is two-fold, 1) I have a high genetic risk for losing my life to a fatal disease that has no treatment and no cure so I am acutely how important it is to use my lungs in a variety of sports and triathlon gives me three different types of sports to benefit me while I am healthy. 2) I now interact with PF patients on a daily basis and am very much inspired to participate for those who’ve lost their lives and for those who can’t. Do you think that your lifestyle has changed since you did your first triathlon? My lifestyle vastly improved when I was introduced to my first triathlon and my coach, Krista Schultz. I learned to pay much more attention to my diet and sleep patterns as well as aerobic fitness and strength requirements. I have also learned to push myself both physically and mentally which is helping me better transition in my mid-life years. What is your experience with the Luray Triathlon? I worked as a volunteer at the Luray Triathlon 5 years ago and that single day of experience, of providing support for others, gave me the confidence to train for the Sprint event the following year. I am not a natural athlete but everyone involved with this race makes you feel that you not only have the ability to compete but are very much part of a special community. What do you like best about the race? I love that novice and less experienced athletes are not only welcomed but the event is extremely well directed and supported to accommodate us. What one piece of advice would you give any triathlete racing in their first Luray Triathlon race? Don’t be afraid to participate and know that you will take away many positive memories that will be fit you in life. Thanks, Catherine, and see you in August!